Set within the Philippines’ unspoiled Northern Palawan region, Banwa Private Island is a hidden gem surrounded by the crystalline Sulu Sea, dazzling marine life and otherworldly coral reefs reminiscent of the Maldives. Considered as the Philippines' last frontier, for its secluded location and untouched wildlife, it is a true paradise for those seeking to go off the grid with a touch of luxury. A pristine beach lines the rim of this 15-acre private island, which blends contemporary world-class architecture and chic interiors by design firm Manosa & Co with the raw beauty of Palawan’s dramatic landscape and lush flora and fauna with views of verdant mountains in the distance. An exclusive-use, its six one, two-and-four-bedroom beachfront villas can accommodate up to 22 guests with additional 12 garden rooms for up to 26 guests plus a residential suite well-appointed for families, friends or groups. 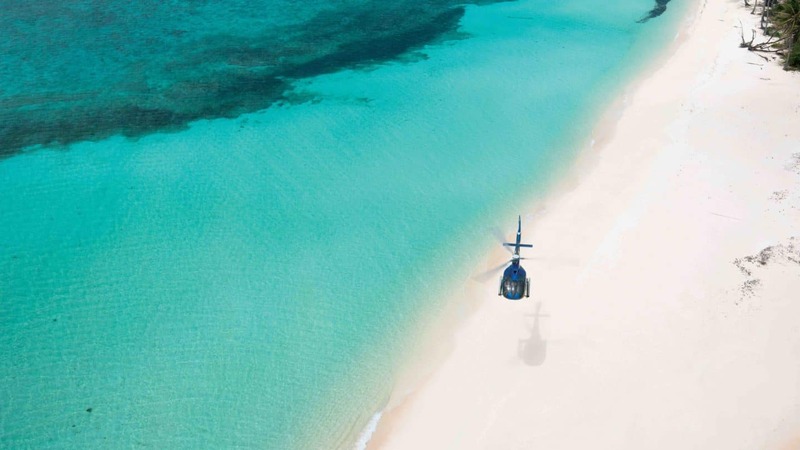 Your adventure begins the moment you arrive by private helicopter or sea plane, where your private concierge awaits to accommodate your every desire. 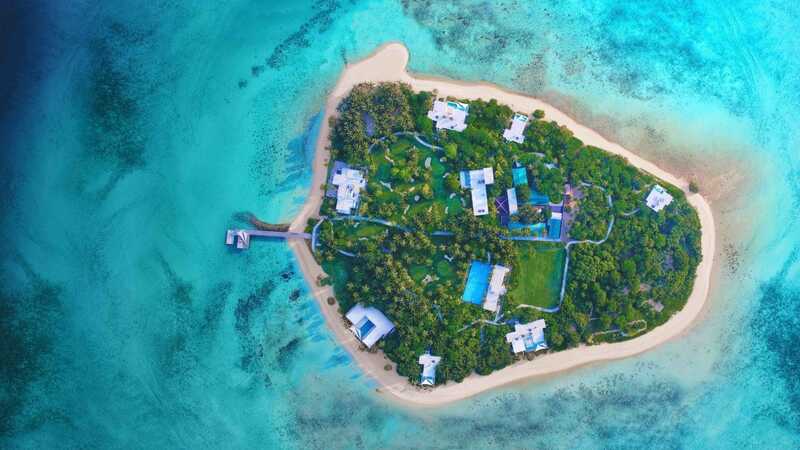 The island offers an array of activities including unlimited spa treatments, gym, tennis court, 9-hole golf course, soccer pitch and helipad as well as scuba diving and various water-sports and local experiences. For those who are looking for relaxation, the infinity pool or massages along the beach offer a quiet space. Much of the produce is grown locally on the island’s own organic farms, including its harvested honey and Banwater, which is sourced 500 feet below the surface in a naturally replenishing reservoir. Latitude, the social hub of Banwa, is the place to dine and relax. Savor a tranquil private candlelit dinner under the Bantigue Canopy or take in the spectacular Palawan sunset at The Terrace Bar with a signature cocktail made by the expert mixologist. For nature enthusiasts, guests can visit the Underground River near Puerto Princesca, one of UNESCO’s new 7 Wonders of Nature or cruise on one of Banwa’s world-class fleet to the spectacular limestone cliffs of El Nido or the world’s most sought-after diving spots such as Tubbataha Reef. Private helicopter excursions are also available for photo-safaris. In the evening, enjoy the sunset and the night sky on a Catamaran yacht. Sustainability is a pillar of Banwa, where the Aquos Foundation supports nature and protects the island’s delicate ecosystem through conservation research initiatives by world leading experts. A decade-long passion project, Banwa welcomes guests to explore this idyllic castaway oasis in April 2019. 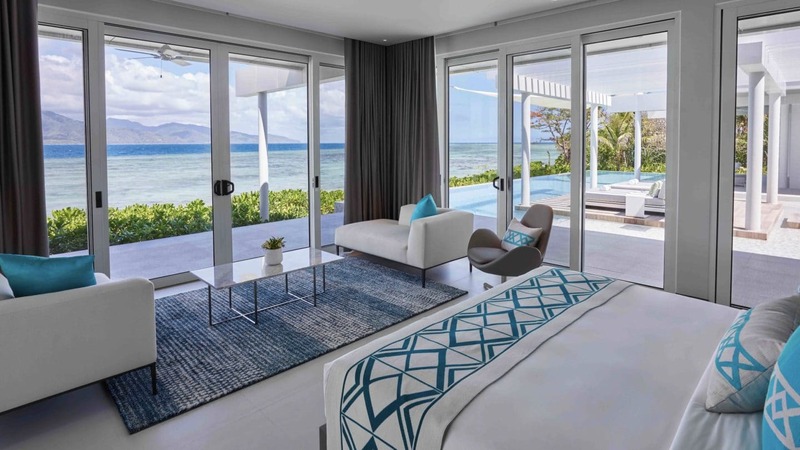 Designed as a private island hideaway, Banwa boasts six beachfront villas with a contemporary flair accommodating up to 22 guests with an additional 12 garden rooms plus an additional one-bedroom Axis 360˚ suite which commands unrivaled views right around the island accommodating a total of 48 guests. The décor is simple and understated with floor-to-ceiling windows designed to bring in natural light and stunning surroundings. 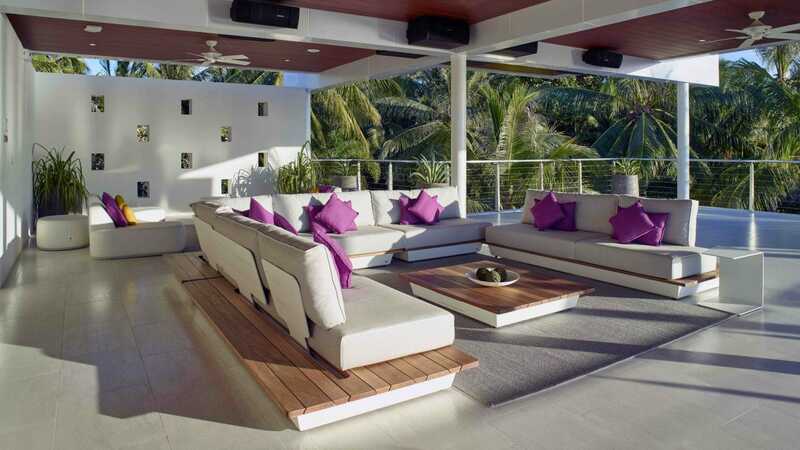 Each villa has a Jacuzzi deck and private infinity pool. 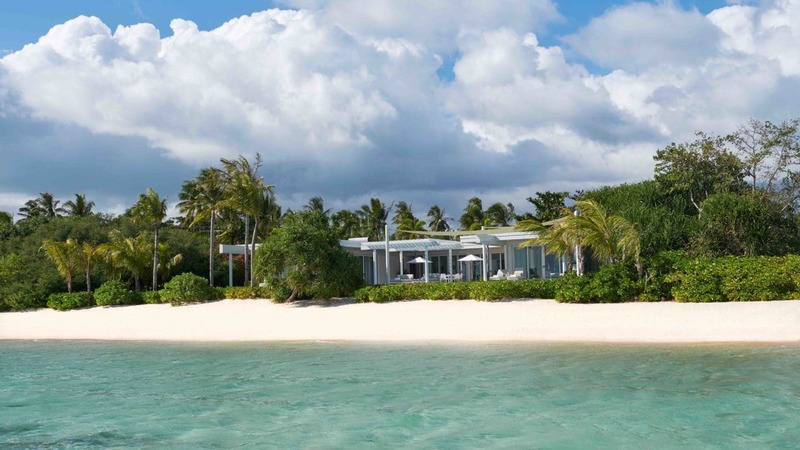 The island is divided by sections: North One, North Two, North East, South One, South Two and South West where each villa has its own special view whether it be of the brilliant sparkling sea and white sand beach or lush mountains in the distance. Designed by Manosa & Co, one of Asia’s most renowned architectural and interior design consultancies, together with MAP HK and Aquos Group. No expense was spared for the furniture, custom-designed and built by Manutti, a Belgian designer and manufacturer. Banwa is approximately two hours from Manila direct by private helicopter or seaplane. 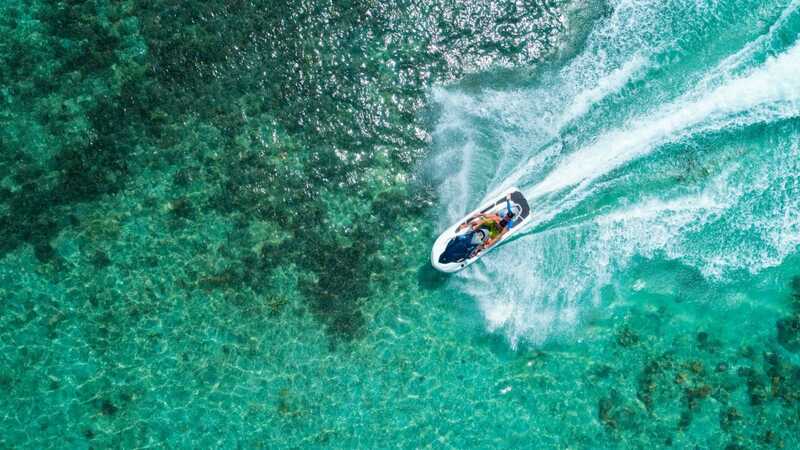 Alternatively, guests can take a private jet to San Vicente or Puerto Princesa combined with a 10-minute heli-transfer or fly a seaplane to Banwa. Internationally, guests can also fly from Hong Kong to connect in Ninoy Aquino International Airport (MNL).